We here at Maroon Report have assembled the top 30 players in the state along with where we expect those players to sign their letter of intent next February. Recruiting is a constantly moving target so we will be sending out updates once a month. 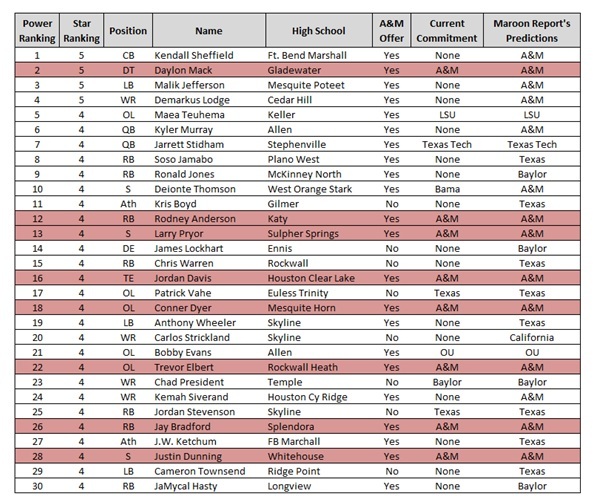 The recruits highlighted in maroon have already verbally committed to Texas A&M.